Why is it commonly believed that outsourcing sales will lead to less fruitful results when the positive experiences of the IT and logistical sectors in their outsourcing efforts (which have led to greater flexibility, expertise and cost savings), indicate that the business strategy of the sales function should not necessarily be kept in-house? The answer: unfounded logics and damaging opinions have stained sales outsourcing's public image. As a result, businesses have retreated from this viable business avenue. To McKay, Brown and Skealberg (employees of CPM and authors of the book "Death of the Salesman",) the barriers to outsourcing are imagined and its supportive empirical evidence is biased and scant. From these corrosive myths, as false arguments about the real world, both businesses and individuals have generally avoided the outsourcing of sales. In fact, clearly documented contracts and service level agreements, strong and transparent business ties, and contractual and cultural partnerships can increase trust, efficiency and even control. In reality, brand association is a very powerful motivator and can be the glue that keeps a group together. Outsourced staff, especially those operating in fully dedicated roles can become just as dedicative to their brand as their in-house counterparts. This a twofold misunderstanding. Firstly, it is a miscomprehension of the true in-house cost of the sales function and a failure to recognize the full value of the benefits of outsourcing. Outsourcing reduces the associated costs with HR, finance, legal and other internal departments. The reality is that specialization deepens competence. By focusing on sales alone, but working across a wide range of customers and sectors, outsourcing firms are able to continually improve their service models and develop their range of specialist sales skills. The common claim that ‘sales is core’ speaks more to a lack of clarity about what the business’ true core competence is than it does about any validity to that claim. Put simply, core competencies are not static but instead change as the market changes. The fact is that speed to market and overall flexibility are two of the major competitive advantages offered by outsourced sales partners. For example, outsourcing firms can upscale quickly and for short periods of time. Furthermore, outsourced partners structure themselves to assist their clients with speed to market across geographical areas and by providing a virtually instant extension to a company’s sales presence. Conversely, a profitable outsourced partner possesses strong insights into consumers, clients and channels and should be constantly finding new ways of operating and creating client value at all points along the sales delivery chain. Outsourced partners thus require innovation and optimisation to thrive, and survive. McKay et al. believe that outsourcing offers a significant source of competitive advantage for those firms willing to look beyond “the way we do things around here” approach. 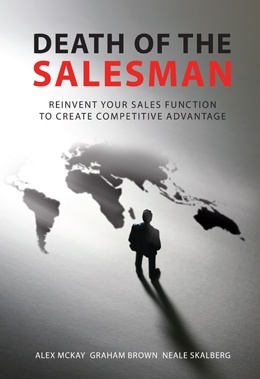 Business’ sales function must adapt to this new division of labour in order to maximize efficiency, expertises and innovation. We at CPM Ireland are at the forefront of these business developments and, through many a successful corporate partnership, continue to be famous for managing outsourced sales.